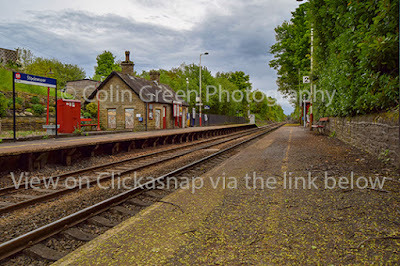 Colin Green Photography: Stocksmoor Railway Station. 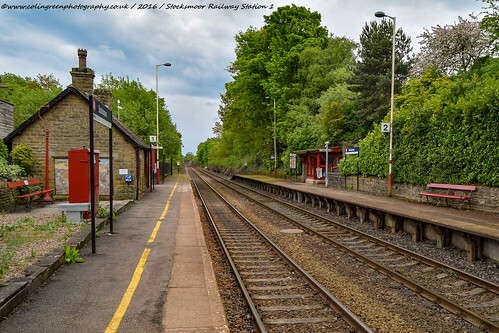 Stocksmoor is a small village station approx. 6 miles south of Huddersfield, West Yorkshire, which opened along with the rest of the line on the 1st July 1850. It has been unstaffed since 1966 with only a small passenger demand averaging approx. 450 people using the station per week. This is the last stop north or first south where the track is doubled, the majority of the line having been single track since 1989. 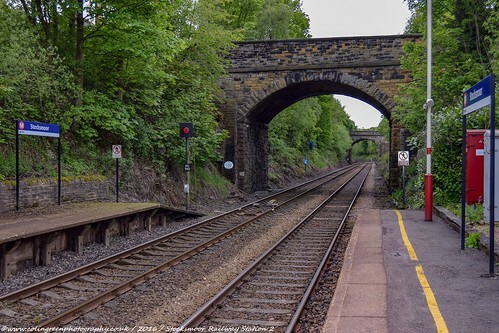 It is doubled until the next stop at Shepley to allow trains to pass each other safely. These pictures were taken on the 21st May 2016 using a Nikon d3300 SLR Camera. There are 11 pictures in total with 7 available here and on Flickr, with another 4 exclusive to Clickasnap only via the links below. 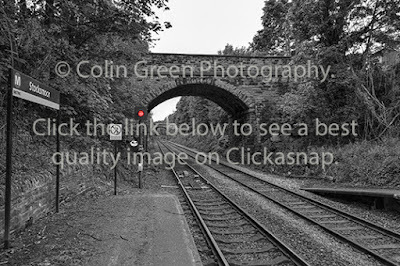 Use the arrows to navigate the album, the following pictures are taken from the Flickr collection. The following pictures can only be seen unmarked and full size on Clickasnap via the links underneath each. 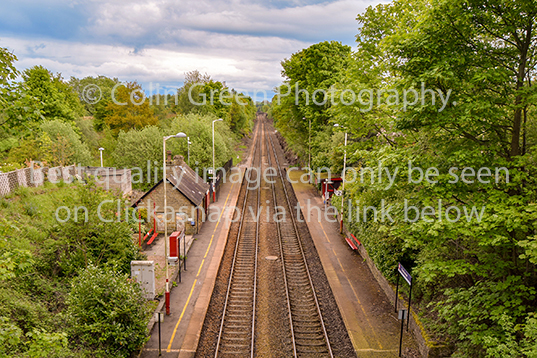 Click here to view an unwatermarked, best quality image. A best quality image can be seen here. 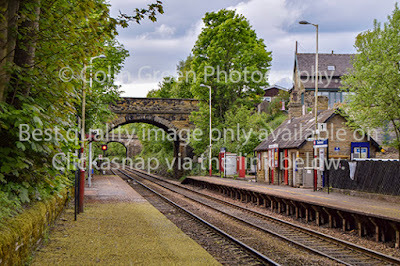 All the links open in another window and take you to an un-watermarked, full size, best resolution copy of the picture, which can only be seen on Clickasnap. I receive a small contributor's fee ($0.0015) per 10 second view from Clickasnap. Thanks for looking and please take a moment to share. All the links will open in another window.